Sheila's (retired mom) past puppies !! Miss Tennis Pro !! Peyton is one of Sheila and Chewy's girls ! What a pretty girl ! !Peyton is one of Sheila and Chewy's girls ! May I help you????? Bernie Rue is one of Sheila and Chewy's girls ! Walking gear on and ready ! !Bernie Rue is one of Sheila and Chewy's girls ! Peyton is one of Sheila and Chewy's girls ! They'll never find me under here !! Bernie Rue is one of Sheila and Chewy's girls !! Sunny, Carly and Sheila are ready to help pull Santa's sleigh !! Ziggy is at the head of his class ! He's one of Sheila and Chewy's boys ! Ziggy !! He's one of Sheila and Chewy's little boys ! Have you seen my ball ?? Peyton is one of Sheila and Chewy's girls ! Bernie Rue is one of Sheila and Chewy's girls ! 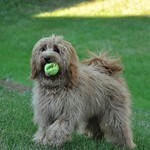 "alright ball...."Bernie Rue is one of Sheila and Chewy's girls ! I'm not that dirty.... :)Bernie Rue is one of Sheila and Chewy's girls ! Just hangin' out .... ( I love the chairs!!) Bernie Rue is one of Sheila and Chewy's girls ! SOOOOO adorable ! !Bernie Rue is one of Sheila and Chewy's girls ! YAY Shopping !!! Bernie Rue is one of Sheila and Chewy's girls ! Yes...I am special !! Peyton is one of Sheila and Chewy's girls ! Peyton and her new family !! She's one of Sheila and Chewy's girls ! zzzzzzz.....zzzzzz Peyton is one of Sheila and Chewy's girls !! Peyton ! She's one of Sheila and Chewy's girls ! Gotta treat???? Peyton is one of Sheila and Chewy's girls ! Ziggy and his big buddy !! Ziggy is one of Sheila and Chewy's little boys !